Early in the quarter, the Corporation announced that it has retained Leede Jones Gable Inc. as agent for a private placement of a maximum amount of $1.5 million. The offering was completed July 20, 2016, for a total of $1,395,240. With this new investment and the reduction of operating expenses in the past two years, the Corporation considers it is in a good financial position to execute its marketing plan and the deployment of its real estate marketplace of visual content in the network of Centris®. During the same quarter, the Corporation made the announcement of the signing of a pilot project with TC Media, a division of Transcontinental Inc., for the integration of its real estate content marketplace and TC Media's media solutions to the market of real estate brokers and builders. The Corporation believes that this integration will help increase the productivity of their respective customers. The expected results of this pilot project could lead to a partnership agreement between Urbanimmersive and TC Media. Urbanimmersive's real estate content solution allows real estate professionals to search, find, compare and book online the services of visual and editorial content providers. The solution provides a full range of tools that help manage the production process to the publication of content. The Corporation also announced the signing of a memorandum of understanding with RESAAS® for the establishment of an integration agreement between its content solution and RESAAS®'s overall solution platform for realtors. The real estate content solution was developed in order to integrate with established third party solutions in the real estate industry. This memorandum supports the announcement of the development of international business in the first quarter of the fiscal year. 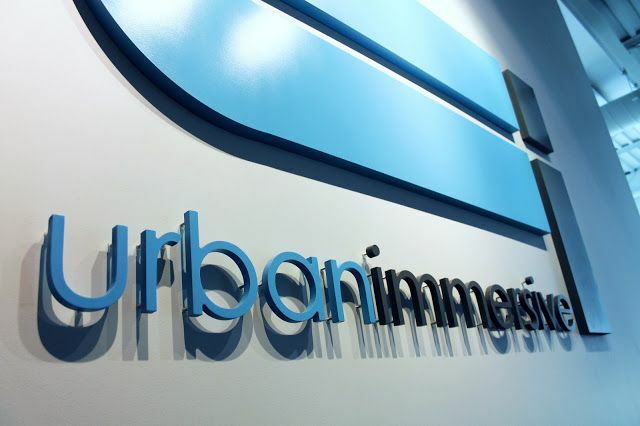 The integration of Urbanimmersive's solution into the RESAAS® platform is not expected in the short term since the Corporation intends to focus its efforts on the deployment of its visual content marketplace in the Centris® network of more than 13,000 realtors in Québec. The third quarter allowed the Urbanimmersive development team to continue the technological development of the visual content marketplace ahead of this upcoming launch. The Corporation will soon announce when the deployment of the visual content marketplace in the Centris® network will occur. Also during the quarter, RE/MAX Québec Inc. has officially launched its new property portal developed with Urbanimmersive. This new site integrates Urbanimmersive's content solution allowing RE/MAX Québec Inc. to provide exclusive and original blog content for their readers. Moreover, the other main feature of the new portal is the unique new and smart search field that interprets long strings of keywords, developed by the Corporation. The Corporation also announced during the quarter the signing of a service agreement for investors' relations with Contact Financial Corp. to assist the Corporation in developing and executing a comprehensive strategic communications program. The Corporation believes that with the recent business achievements related to its real estate content solution, the time had come to increase its visibility within the financial community. The Corporation considers having sufficient liquidity to execute its marketing plan. Certain statements made in this press release that are not historical facts are forward-looking statements and are subject to important risks, uncertainties and assumptions. The results or events predicted in these forward-looking statements may differ materially from actual results or events. As a result, readers are cautioned not to place undue reliance on these forward-looking statements. For additional information with respect to certain of these and other assumptions and risk factors, please refer to the Corporation's MD&A dated December 31th, 2015 and filed with the Canadian securities commissions. The forward-looking statements contained in this press release represent our expectations as of the date hereof. We disclaim any intention and assume no obligation to update or revise any forward-looking statements.